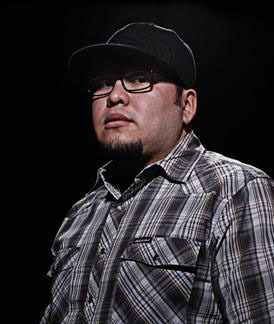 Nikko Hurtado is one of Southern California's most prominent up-and-coming color portrait specialists, and has been instrumental in the color portrait genre gaining such popularity in recent years. Although only tattooing since 2002, Nikko's natural talent and hard work ethic have placed him in a position of respect among the seasoned veterans in the profession, and he has been eager to share his experience with other inspired, hard-working artists. He has had multiple appearances on prominent TV shows such as LA Ink and Tattoo Wars, showing the public what is possible with color portraiture. He has released two instructional DVDs, Tattooing Portraits With Nikko Hurtado and Tattooing De Los Muertos, which show his design and execution process from beginning to end; these disk is highly recommended for any artists with an interest in color realism or color work in general. He is currently working hard at creating a new body of paintings in the same vein as his tattoo realism work.